How Many Calories Are in a Stuffed Bell Pepper? 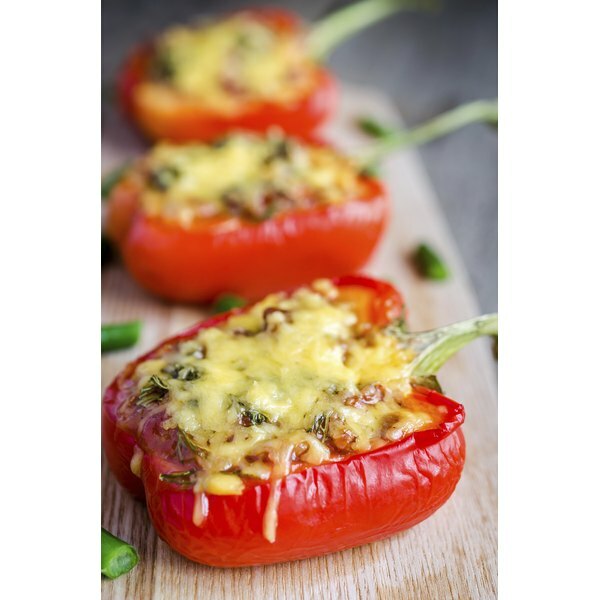 Use the right recipe and stuffed bell peppers can be very nutritious. Recipes for stuffed bell peppers vary greatly in the amount and type of ingredients used, meaning the calorie content of these peppers can also vary markedly. A typical stuffing recipe includes ground beef, cheese, a tomato-based sauce and sometimes rice as well. Healthier recipes include more vegetables and either leaner meats or no meat at all. Half of a bell pepper stuffed with a mix of Italian sausage, zucchini, egg, breadcrumbs and spices has about 313 calories. You can eat a whole stuffed pepper made with lean ground beef, couscous, chickpeas and low-fat mozzarella cheese for 280 calories or a small pepper stuffed with a mix of lentils and ground chicken for 230 calories. A vegetarian version made with chickpeas, summer squash, couscous, cherry tomatoes and feta cheese is higher in calories, at 366, but it's also high in fiber, vitamins and minerals. 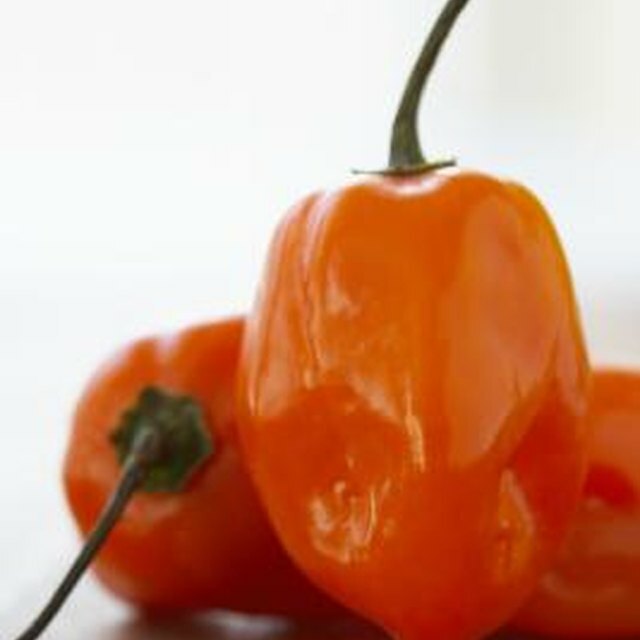 Reducing the 1/4 cup of feta cheese in each pepper to 1/8 cup will save you about 50 calories. Another option for reducing the calorie content is using fat-free feta.